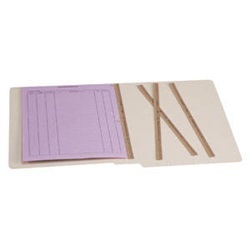 u-file-m binder strips make each folder read like a book. Documents are affixed to a strip of tabs in either ascending or descending order. File by either older information first, or by newer information on top. Instructions included. Strip holds up to 22 sheets.